Oral mucositis — mouth sores that occur as a result of cancer treatment — is perhaps the most common and debilitating complication of chemotherapy and radiation, and there is no known agent that can cure or prevent it. 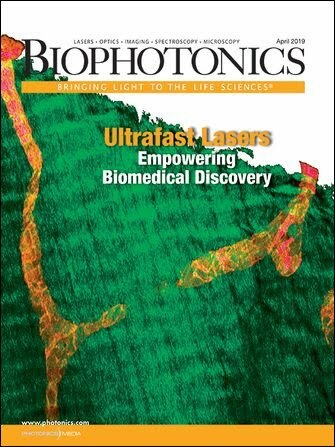 Some research has emerged on the curing effect of low-level lasers, which led Dr. M.S. Vidyasagar, G. Arun Maiya and Honey Arora from Manipal University in Karnatka, India, and their colleagues to evaluate the devices for the prevention and treatment of radiotherapy-induced oral mucositis. The researchers tested 24 oral cancer patients who were scheduled to undergo radiotherapy, as detailed in the February 2008 issue of Oral Surgery, Oral Medicine, Oral Pathology, Oral Radiology and Endodontology. Eleven patients received laser treatment every day prior to radiotherapy, and 13 control patients received radiotherapy alone. Cancer treatment was received five days a week over 6.5 weeks, and the patients were evaluated daily for pain severity, functional impairment and oral mucositis. Reprinted with permission of Oral Surgery, Oral Medicine, Oral Pathology, Oral Radiology and Endodontology. The laser-treatment group was treated with a 632.8-nm helium-neon laser with an output of 10 mW and an energy density of 1.8 J/cm2. Treatment was administered via a laser scanner for the first eight days and from a fiber optic hand piece for the remaining 25 days. Differences between the laser therapy group and the control group became significant during the second week of radiation treatment. Most of the patients in the laser group experienced grade 0 (no sores) and grade I (some sores) mucositis, while the control group progressed to grades I and II. In the third week, the laser group experienced grade I and the control group progressed to grades II and III (more severe). And, similarly, in the fourth week the laser group had grades I, II and III, whereas the control group was seen with grades II, III and IV. And in the final three weeks, the laser group continued to experience grades II and III while most of the control group advanced to grades III and IV. The patients in the laser therapy group also reported less overall pain than those in the control group. The results indicate that laser therapy can reduce the severity of mucositis. The investigators recommend further research on the use of various laser energies and how often they are applied to help create an optimal treatment plan. 3 Questions with Dr. Robert Hart, Optofluidics Inc.